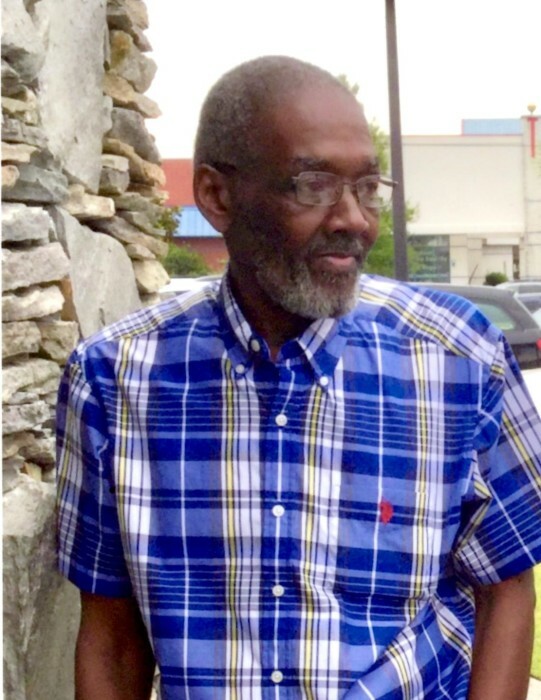 Wayne Gerald, a loving son, brother, husband, father, grandfather, and great-grandfather, completed his earthly journey and departed his life, after a long illness, on Thursday, March 21, 2019 at the McLeod Hospice House located in Florence SC. He was born on January 27, 1958 to the late Mr. Iseman Grant of Sampit, SC (Georgetown) and Mrs. Sallie Gerald Bowens of Mullins SC. He was educated in the Marion County Public Schools. He was joined in holy matrimony on March 21, 1980 to Ms. Mary Parris of Lexington, Kentucky. Wayne, on his Mother’s side of the family, was the grandson of the late Mr. Span Russell Gerald and Mollie Livingston Gerald of Mullins, SC; the maternal great-grandson of Edward Livingston and Sallie Gause Livingston of Mullins, SC; the paternal great-grandson of Rudolph Gerald and Anna Gerald of Mullins, SC; and, on his Father’s side of the family, he was the grandson of the late Mr. William Grant and Liza Grant of Sampit, SC (Georgetown). of the home; his Mother: Mrs. Sallie Gerald Bowens of Mullins, SC; his Mother-In-Law: Mrs. Myrtle Parris of Lithiona Springs, GA; six children: Erica Nelson of Myrtle Beach, SC; Rachel (Garrik) Buie of Florence SC; Charmelle (Rodney) Fitten of Morrow, GA; Chris Antwan (Kechia) Parris of Forest Park, GA; Tobias (Morgan) Parris of Rosewell, GA; and, Nissa (James) Dickerson of Forest Park, GA; six sisters: Valoria (Howard) Campbell of Little River, SC; Gwendolyn Herring of Asheville, NC; Deborah Briston of Mullins, SC; Angela Grant of Gainsville GA; Alizza (Donald) Gagum of Palm Bay, Fl. ; and, Laizzle Grant of Philadelphia, PA; one brother: Ross Earl (Ella) Gerald of Mullins, SC. ; four brothers-in-law: Billy (Cassandra) Parris, Charles Parris and Joe Parris of Cobb County, GA; James Parris of Mabelton, GA; two sisters-in-law: Joyce (Tyron) Cross of Forest Park, GA; and, Marie (Dennis) McNeal of Cincinnati, Ohio; 27 grandchildren; 6 great-grandchildren; two aunts: Mrs. Lynn Elsie Wilson of Mullins, SC; and, Mrs. Ruth Johnson of West Palm Beach, Fl. ; and, a host of nieces, nephews, cousins, other relatives and friends. Wayne was a self-taught jack of many trades to include being a master carpenter and ace repairman of both domestic and foreign cars. In his early career he worked for BellSouth as a backhoe operator/foreman. In his later years, until his health failed, he worked as a mechanic on 18-wheeler diesel trucks. He was a quiet, gentle and unpretentious man with a gigantic heart who was loved by his family and respected by his friends. While Wayne is now physically absent from his loving family and friends, he will live on through eternity in the hearts and memories of those he left behind.